Pneumocystis jirovecii is a tiny fungus that lives in the lungs of many people. Most people's immune systems keep the fungus under control. But if you have a weakened immune system, the fungus can make you very sick. 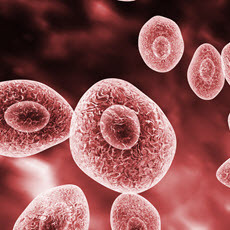 The most common type of infection is pneumocystis pneumonia (PCP). PCP once was the major cause of death for people with HIV/AIDS. But now, it is possible to prevent or treat most cases. The key to surviving PCP is early treatment. The first signs of PCP are fever, dry cough, shortness of breath, and fatigue. If you have a weakened immune system and have these symptoms, see your doctor right away. To diagnose PCP, doctors use a microscope to look for the fungus in a sample of lung fluid or tissue. Treatment is with antibiotics. There is no vaccine to prevent PCP. Some people who are at high risk of getting PCP may need to take antibiotics to prevent it.